by Obiora N. Anekwe • Your smallest decision can make the biggest difference in learning. Recently, I became a member of the New York City Teaching Fellows Program’s 25th cohort. My area of specialization is in special education. More than half of this year’s teaching fellows consist of prospective teachers in training in the field of special education, and during this summer, my fellow classmates and I participated in a site visit to the Children’s Learning Center, the United Cerebral Palsy Association of Nassau County, Inc. in Roosevelt, New York. 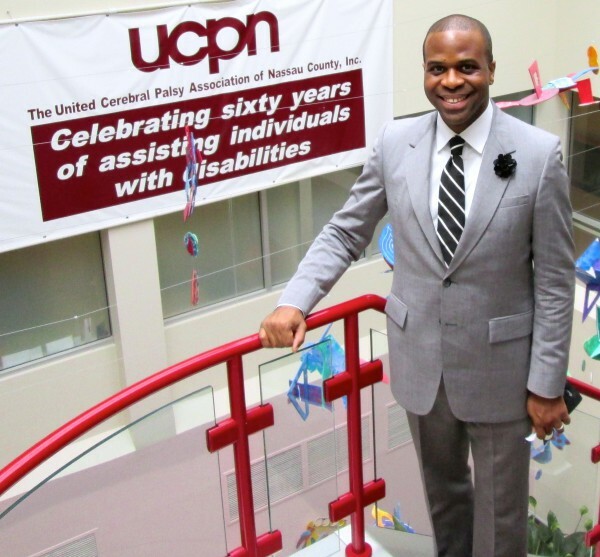 As stated on the agency’s website, the “United Cerebral Palsy Association of Nassau County, Inc. (UCPN) is an independent, not-for-profit health agency serving over 1800 children and adults with cerebral palsy, developmental and other disabilities.” Founded in 1948, the Association operates a comprehensive Treatment and Rehabilitation Center that has earned international recognition for innovative and high quality programs. In a tour of the school, I observed a montage of framed photographs featuring former heavyweight boxing champion Muhammad Ali, who once visited the school 15 years ago. Ali was scheduled to visit for 30 minutes. Instead, he decided to stay for 8 hours. His visit reminds us that the smallest decision affecting children often makes the biggest difference in a child’s education. I think that visually seeing throughout the school’s hallways framed photographs of Ray Charles and Christopher Reeves – icons who positively coped with their own physical limitations – helps these students with cerebral palsy know that they can also overcome any challenge. The majority of students who attend the school are non-residential. Many of the toys and communicative devices have been adapted in order to meet their individual learning and social needs. Most impressive is the fact that, although many students at the Children’s Learning Center may have cognitive and/or physical needs, communication devices such as computers, toys, and machines are augmented to enhance effective and transferable learning. Even the gymnasium was designed in order to adapt to the physical needs of students. Examples of the art showcased at The Children's Learning Center. Click to enlarge.